TThe Los Angeles Lakers were on the wrong end of history on Sunday night, with their 101-82 loss to the Charlotte Hornets tying the franchise record for most consecutive defeats as their losing grew to 10 games. Outside of some effective offense from Kobe Bryant (who started the game 0-5 but went 8-13 the rest of the way to score 23 points in addition to his 8 rebounds and 2 steals), no one was particularly effective for the purple and gold. The Lakers lost by 19 points in a game in which they held the opposition to just 37.5% shooting mainly by only making 33.8% of their own shots, but compounded the issue by giving up 14 offensive rebounds to a Charlotte team that ranks 28th in the league in offensive rebound percentage. For context, that would rank above the Detroit Pistons' league leading 13.5 per game. The Lakers said goodbye to their First Lady on Sunday, as the team announced that Marge Hearn — the widow of legendary broadcaster Chick Hearn — passed away the night before of natural causes. "We are very sad at the passing of our beloved Marge Hearn," team President and co-owner Jeanie Buss said in a statement. "We consider ourselves blessed and fortunate, however, to have had her be a part of the Lakers family for six decades. She was truly the First Lady of the Lakers, sitting alongside her husband, the voice of the Lakers, Chick Hearn." Marge, 98, made frequent cameos during Chick's play-by-play — often at her own expense. "Marge could have made that shot," Chick would say when a player missed an easy bucket. Though she didn't have the same platform as her husband, Marge, too, had a keen sense of humor, which Kobe Bryant recalled fondly after Sunday's game, which included a moment of silence for the team matriarch. What does it take for an 18-year-old to make it in the NBA? Just 10 months after undergoing surgery to remove a brain tumor, Teichman — a high school student from Baltimore — signed a one-day contract with the Lakers on Sunday thanks to the team’s partnership with the Make-A-Wish Foundation. With his parents and seven siblings in attendance, Teichman signed his contract alongside Lakers General Manager Mitch Kupchak before the team’s game against Charlotte. After putting down the pen, the teenager displayed his trademark humor, which he relied on while battling his cancer. Long before finally leaving Staples Center with a trash bag full of treasures, including autographs from the likes of Kobe Bryant and Julius Randle, Teichman said that his day began like most others. The Los Angeles Lakers' 101-82 loss to the Charlotte Hornets on Sunday night might have finally done what a rough Las Vegas Summer League, tougher regular season debut, and benching couldn't: reveal the first cracks in D'Angelo Russell's seeming unbreakable self-confidence. Russell has had to put up with a certain subset of fans decrying his selection on draft night, with some calling him a bust before he even put on an NBA uniform. Still others screamed that the Lakers should have selected Duke big man Jahlil Okafor. Russell took those criticisms in stride, and has continued to do so for his entire rookie season thus far. As recently as the team's last game, a loss to the Los Angeles Clippers, Russell tried to explain to reporters that he doesn't let critics get to him because he knows that even historical greats get criticized, and thus he doesn't expect his up and down NBA performance will be enough to keep some from having negative opinions of him. D’Angelo Russell on his season: "I feel like I was improving. Now I feel like, I don’t know, not really as much." Since his coach pulled him out of the game against the Dallas Mavericks and called him out publicly for "trying to make the big shots" Russell hasn't even taken the little ones. The rookie guard has taken 4 less shots per game since the late benching, resulting in his usage rate dropping from 23.5 to 19.1. He has also been less accurate, shooting just 31.8% in those three contests, down from 41.3% on the year. The percentage of Russell's teammates baskets on which he assists while on the floor has bumped up from 18.8% to 22.6%, but so has his turnover ratio, from 13.8% to 22.6%. As their home crowd rained down the loudest boos of the season, the Los Angeles Lakers lost their 10th straight game Sunday, falling 101-82 to the Charlotte Hornets at Staples Center. The 9-41 Lakers have now tied for their longest losing streak in franchise history -- the 1993-94 Lakers also lost 10 straight games -- and this team could break that tie with consecutive loss No. 11 on Tuesday against the Minnesota Timberwolves at Staples Center. "Honestly, it doesn't really matter," Lakers icon Kobe Bryant said of the notion that his team must win Tuesday to avoid that dubious mark. "What, it makes a (bleep) season less (bleep)?" Sunday's loss also ensured a non-winning record this season, which marks the first time that the Lakers have had a non-winning record in three consecutive seasons since the franchise moved to Los Angeles before the 1960-61 season. "The Navy SEALs have a way of taking guys to the bottom of the pool," said Bryant, who scored 23 points on 8-of-18 shooting. "Sometimes you've got to go to the bottom of the pool, man, and figure it out. We're almost there. Gasping for air." Lakers coach Byron Scott said he was aware of the loud boos, which rained down heavily in the second half as the Hornets led by as much as 27 points. The Lakers disappointing year started in the off season, with the front office making consistently poor decisions regarding player personnel. While some players may be gone for good, the Lakers still have a chance to fix one of their more glaring errors from this offseason: their mishandling of young seven footer, Robert Upshaw. While this series has focused on young players with no prior history in the Lakers organization, Upshaw has already been linked to the team for quite some time. Inexplicably, after signing Robert Upshaw to a contract prior to the season, the Lakers decided to release him in favor of Robert Sacre. This move has proven to be as foolish as it seemed at the time, as Sacre has failed to play anything nearing meaningful minutes, despite the lack of true centers on the team. Most people assumed that this decision was either made due to off-court concerns, or the idea that Sacre was more ready to contribute in the immediate future. However, as Upshaw has stayed out of trouble since his arrival in LA, and Sacre has failed to even crack the rotation for the Lakers, both of those points are now moot. Fortunately Robert Upshaw is still easily obtainable for the purple and gold, as he is currently playing for their D-League affiliate the Los Angeles D-Fenders. Since being sent to the minor league, Upshaw has averaged six points and five rebounds in only sixteen minutes of playing time per game. Despite his rather pedestrian stat line, the center has flashed impressive potential on both ends of the floor. Can we at lease cut Sacre and bring Upshaw to the varsity squad now? Then cull the herd; sign Christian Woods & Tony Wroten. Call up Vander Blue (on a series of 10 day contracts). Play and continue to develop and evaluate the young core the rest of the way. Regroup the FO and head in full-bore on the rebuild for next season. Lakers Coach Byron Scott agreed with rookie D'Angelo Russell's assessment that the Lakers need to work on communication. After the Lakers' 10th loss in a row on Sunday night, Russell said the Lakers might communicate in practice, but it doesn't translate to the game. "I don't know how you get it from the practice floor to the game floor. That's what we've been talking about all year," said Scott after practice on Monday. "We talk out here all the time, but we get in the game, we act like we're like strangers. Somehow that has to end. It just has to stop. Somebody has to be in control out there to kind of tell everybody what's going on. It's not that hard. We talk in practice. We talk on the bus. We talk on the plane. We get in the game and we act like we're mute. It surprises me and it's mind-boggling to me." "They have to figure out a way to communicate a lot better on the basketball court. There's nothing I can do about that," he continued. "There's no drills I can put them through. It's just as simple as [someone] is going to set a screen, and I'm letting him know it's coming." There have been four NBA head coach firings so far this season, but Los Angeles Lakers fans hoping to see Byron Scott become the fifth member of that group should not hold their breath. Despite the team's 9-41 record, league worst net rating of -11.6, and consistent criticism of the team's young players through the media, the Lakers still have no plans to fire Scott, according to Mark Medina of the L.A. Daily News. Tucked away in Medina's report on the war of words between Scott and Los Angeles Clippers analyst Don MacLean over how to best develop Lakers' rookie point guard D'Angelo Russell was the detail that "the Lakers plan on retaining [Scott] for the rest of the 2015-16 season, mindful of the challenges Scott faces in managing both Kobe Bryant's 20th and final NBA season and rebuilding the team's young core." The team reportedly plans to re-evaluate Scott at the end of the season. An 11-game losing streak may be unprecedented for the Los Angeles Lakers, but their coach knows how much worse it could get. The Lakers (9-41) are one loss away from their franchise-worst 11th straight, but they have a long way to match what Byron Scott’s 2010-11 Cleveland Cavaliers. Their streak? Twenty-six straight losses, an NBA record shared with the 2013-14 Philadelphia 76ers. The Cavs finished 19-63 that season, the first year after LeBron James bolted for Miami. Scott is an expert on losing. He speaks from experience and wisdom on how to be a terrible team. scott's answer to everything.... be a man and do what men do. I wonder what his advice will be for feminazi facist HillaWRONG Clinton after she starts to drop in the polls? If he tells her to MAN up he will gain my respect. Byron Scott hears the critics. Does he ever. They don't overtly chant the good name of Phil Jackson at home games, perhaps too polite to castigate one of their own. Scott, who is coaching the Lakers after starring on their "Showtime" teams, is tantamount to family after all. But the boos have started creeping into recent games at Staples Center. A loss Tuesday against Minnesota would set the Lakers franchise record for most in a row (11). It swerves the conversation toward Scott in the second season of his four-year, $17-million deal. 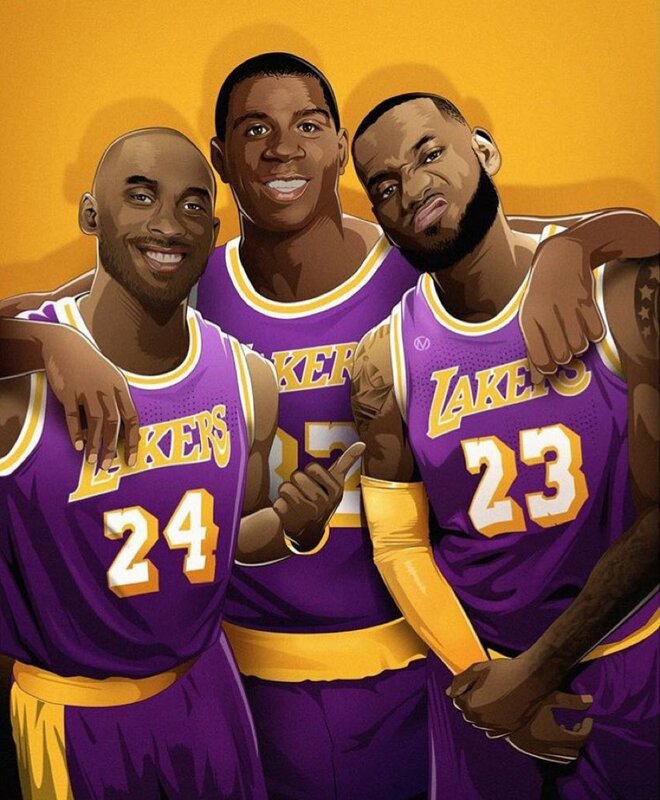 Only one more year is guaranteed, and the Lakers have shown no fear in this department. Mike Brown was fired with $10 million and almost three years left on his contract; Mike D'Antoni was given more than half of the $4 million he was owed after resigning in 2014 with one more year on his deal. Will Scott be back? People close to the organization think this season's final 2½ months are a trial of sorts. It would help Scott's chances if the young players showed growth and the games were more competitive. There has to be hope, not despair. Scott has been criticized for being too rough on the Lakers' youth, and fans wonder whether the game has charged past him in the budding era of analytics. He's not going to change. Not at age 54. The Lakers hoped they had hit rock bottom after tying a franchise record for most consecutive losses. But it appears there’s still some room for them to fall. They will play without rookie forward Larry Nance Jr. for at least the next five games leading into NBA All-Star Weekend because of continued soreness in his right knee, starting when the Lakers (9-41) host the Minnesota Timberwolves (14-35) tonight at Staples Center. Nance missed four games last week because of his latest injury. More pain developed while he played in the next three contests before he sat out Sunday’s game against Charlotte. Nance has said he has not fully healed from a torn ACL in his right knee sustained during his junior season at the University of Wyoming. Second-year forward Julius Randle will start in place of Nance, as he has done for the past eight games. During that stretch, Randle has averaged 13.0 points and 11.3 rebounds per game. At the World’s Most Famous Arena, Kobe Bryant put on the building’s greatest show. He exploded for a then-Madison Square Garden record 61 points to lead the Lakers past New York, 126-117. “It’s a blessing to do what you love and have moments like this,” Bryant told reporters. With Andrew Bynum out due to a knee injury, Bryant ensured that Los Angeles’ offense would not suffer, shooting 19-of-31 from the field and hitting all 20 free throw attempts in just 37 minutes. Bryant — who struck from all across the floor — came out firing from the start, pouring in 34 points in the first half alone. 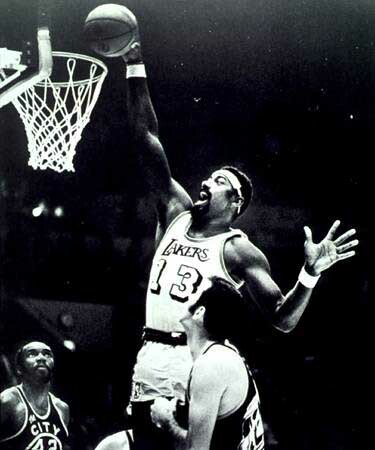 He also piled up 15 in the final quarter to lead L.A. to a 20-point advantage with 2:33 left. Bryant’s historic night resulted in him receiving “MVP!” chants from the hometown fans. It also covered up huge nights from his teammate, Pau Gasol (31 points, 14 rebounds), and three Knicks who scored 20-plus points. At least Bryon will forever be associated w/the longest Laker losing streak. Remember a time in July, fresh off the Los Angeles Lakers selecting point guard D’Angelo Russell with the No. 2 overall pick in the 2016 NBA Draft, when there was legitimate optimism about the Lakers? Not in the sense that this team was going to be in contention for a title, but rather that this season could start to see progress as the core of the future took the floor and started to develop. We’re now 50 games into the season and, after winning only nine games and fresh off of tying the franchise record for the longest losing streak in history, that optimism has been beaten into submission. Now, fans and players are left in a hopeless state of disappointment and frustration. After the loss to a short-handed Charlotte Hornets team in STAPLES Center on Sunday night, Russell was quite candid when talking to reporters after the game. When asked about learning opportunities after games like the one against Charlotte, the rookie responded by saying that there is a chance to learn, but that there have been the same opportunities numerous times throughout the season and nothing has changed. And therein lies the root of the problem with the Lakers right now. There is obvious room to grow, an apparent need to shake up the status quo. But because of a stubborn head coach in Byron Scott, a front office seemingly misguided in terms of what they need to do to remedy the issues in Los Angeles, and even the team being held hostage by the Kobe Bryant farewell tour, nothing’s changing. Scott is by far the easiest target and the culprit with the reddest hands in all of this. Not only is he consistently rolling out the same lineups and same rotational patterns with the results remaining lackluster, but he’s actively contradicting himself in the process. Prior to last Sunday’s game against the Oklahoma City Blues, Los Angeles D-Fenders’ star shooting guard Vander Blue and power forward Justin Harper had just found out that they both earned spots on the NBA All-Star D-League team. However, one thing must be stated: the difference between the D-League All-Star team and the NBA All-Star team is simple, one is a popularity contest, and the other is based on your performance. Blue has been invited to play on the D-League All-Star team once before but he opted first to discuss his idol’s last NBA All-Star game. Due to Kobe’s injuries, although he didn’t get any time with The Black Mamba when he was a Laker, he had always wished he would have. Maybe he could get some time with him at the All-Star weekend events? There’s always room for change in the game of basketball — whether that change is good or bad is usually up to the facilitator. In the case of the Lakers, head coach Byron Scott is the go-to guy for major decisions reflected on the floor, bench, and even the locker room. When it comes to succeeding with the team that they have in place at the moment, the only person that should ever take major criticism for the style of play is the coach. While yes, the coach is obviously not responsible for every single play, good or bad, that doesn’t diminish their responsibility when it comes to the approach the team has at any given point in the season. On the flip side in Los Angeles is the perfect example of a strong-willed yet understanding coach in Doc Rivers of the Clippers. Just recently, Rivers was named the Western Conference coach of the month for the month of January after the Clippers went a team-best 11-3 in that particular stretch. To add to that, Rivers has his team going at just the right speed to keep pace in the Western Conference as the playoff picture better develops in the second half of the season. Quite different tone, don’t you think? The NBA trade deadline is swiftly approaching (Feb. 18 at 12 PM PST) and considering the Los Angeles Lakers unsightly record, fans are expecting them to be active. However, thanks to a glorious history of pulling off home-run deals, many have expectations that aren’t realistic. I can’t tell you how many Jordan Clarkson and Roy Hibbert for DeMarcus Cousins deals I’ve seen fans propose on the premise that Hibbert’s expiring contract has massive value, just like Kwame Brown’s did when it brought Pau Gasol to Los Angeles. Unfortunately, the NBA doesn’t work that way anymore. Negotiating a deal in the modern NBA landscape is a little like dating in that both parties have to have something that the other side finds attractive. It’s a two-way street and if one side isn’t getting what they need out of the trade, then they break it off by not responding to texts anymore (probably). Sure, every once in a while a team comes along that is so desperate that they settle for a terrible deal (like Sacramento’s deal with the Sixers last summer that cleared cap space but cost Nik Stauskas, a 2016 first round pick AND two pick swaps), but those are rare. For the most part, you have to give in order to get. With that in mind, we are going to take a look at five realistic trades the Lakers could look to make at the deadline. I’m heading into these negotiations with two rules: Lakers won’t take on long-term salaries unless it’s for a potential core-piece, and they won’t make moves that improve the roster this season. Doing so at this point would be counter-productive, as adding wins now only serves to decrease the chances of retaining their 2016 draft pick. Who has the most trade value on this Lakers team? With the trade deadline coming down the pipeline, which Laker has the most trade value? In the midst of a franchise-worst season last year, the Los Angeles Lakers had assets to deal. Jeremy Lin, Wayne Ellington, Jordan Hill and Ed Davis were all decent pieces, as well as Steve Nash's $10 million dollar expiring contract. However, the trade deadline came and went, and one of the NBA's very worst squads unbelievably made zero moves. The rebuilding, it seemed, wouldn't be bolstered that year. This year, moreso than in years past, the Lakers seem ready to deal. With young prospects like D'Angelo Russell, Julius Randle, Jordan Clarkson, Larry Nance Jr. and Anthony Brown, the team looks ready to trade their set of able-bodied veterans, such as Roy Hibbert, Lou Williams, Brandon Bass and on occasion, Nick Young. However, they're also set to send away their youngsters if a pact for a superstar were to come their way. As the trade deadline approaches, will the Lakers make a deal to stock their cupboard even further with assets? Looking back on the past two seasons, deals have been few and far between in-season. The only Laker that's been dealt during the year since 2013 has been Steve Blake, who was sent to the Golden State Warriors for MarShon Brooks and Kent Bazemore. Unfortunately for the Lakers, all that deal did was show the Atlanta Hawks that Bazemore could indeed play given the opportunity, which precipitated a two-year deal that's now looked upon as a bargain. That all being said, it seems that the atmosphere around the league is ripe for a trade. The Lakers are one of the few teams in the NBA that not only has players other organizations would want, but are also well out of playoff contention enough for them to deal. Need a guard with scoring punch that's willing to come off the bench? Lou Williams is your man. Need an offensive-minded big man who's not afraid to scrap in the paint? Brandon Bass, raise your hand, please. Need a backup center that's going to give you some stout defense without complaint? Let's just admit that's what Roy Hibbert is. Do you need Nick Young? No? Well, the Lakers will give him to you anyway. But what's their trade value? Who on the Lakers, even the young players, would fetch the most in a trade? Who's likely to get dealt? The scenarios, personnel needs, contracts, cap space and asset stash are never quite the same. However, for the purposes of this exercise, we'll try to match up comparable situations as best as we can. Let's go player by player and decide who has the most trade value on this Lakers squad.